I thought that surely this fashion trend would have faded away by now. 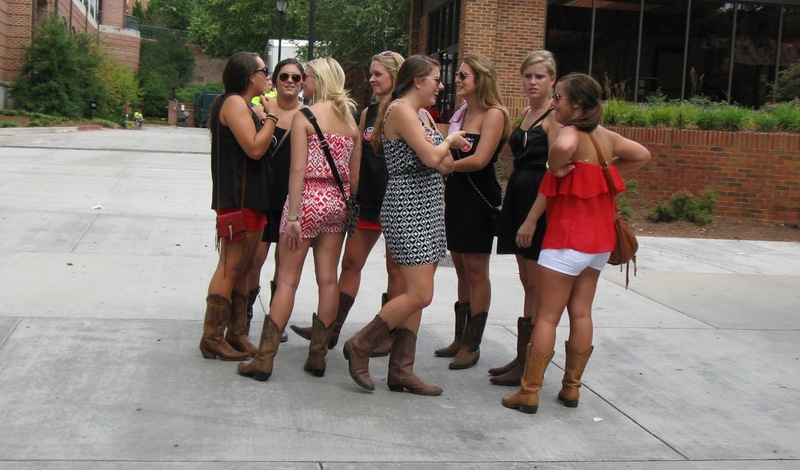 Although cowboy boots are classic, wearing them with dresses or shorts is a unique, bold statement. 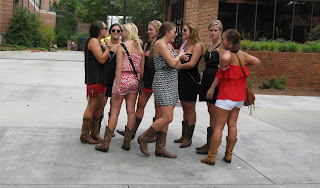 Well, it is not unique in Athens as it is popular with women at the University of Georgia. I have been told this fashion statement extends far beyond the South, and it seems to be going strong year after year, even though people either love it or hate it. Photo taken on Sep. 1, 2012 near Baxter Street.